Geographically situated at the heart of Africa, Uganda is where the East African savannah meets the West African Jungle. It is where 30 different indigenous languages are spoken by ancient tribes in perfect harmony, and English is the common language among modern urbanites. It is where rock paintings dating back several centurys in history, exist with a rich mosaic of music, art and handicrafts. Uganda has a varied landscape ranging from plains and savannahs to the high mountains. 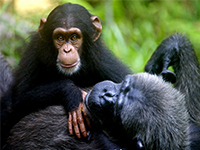 The diversity in Uganda's geography is reflected in its wildlife. 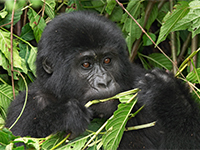 It harbours the African Big Five as well as its most recognisable and endangered mammal, the Mountain Gorilla. It is home to more than half the world’s population of mountain gorillas along with a sizeable population of chimpanzees. It ranks high as a bird watching destination playing host to over 1,000 species of birds. Lake Victoria, the second largest lake in the world and the origin of River Nile is situated in Uganda.